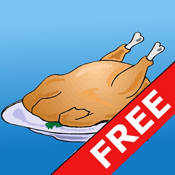 Meat Cooking Times Lite is a free utility that calculates the time required to roast a piece of meat, based on the weight (metric or imperial) and type of meat. The calculated time is for guidance only. The Lite version includes calculations for 3 types of meat.